Sounds New is excited to develop its Sounds New Poetry thread, a collaboration between the festival and the University of Kent, once more as part of this year’s festival. On Saturday 3 May, Nancy Gaffield & David Herd will be at Eastbridge Hospital at midday. Established to receive, lodge and sustain Canterbury’s wayfarers and pilgrims, poets Nancy Gaffield and David Herd read work written in response to this defining city space. Inspired by the resources at the Beaney, poet Kat Peddie will be running a combined performance and workshop on collage poetry at the Beaney Museum at 3pm. She will be using the space and resources of the library to explore methods of creating collage, reading from her own collages and helping the audience to make their own collage poems from found materials in the library. On Sunday 4th May, and using St Thomas’ Church as his starting point, Ben Hickman will present a poetic but meaty history of revolt in Kent and Kent in revolt at 12.30pm. Over at the Roman Museum at 3pm, and drawing upon sites from Roman Canterbury via their present-day locations, Eleanor Perry will perform new work that investigates ideas about the perceptions and expectations of women in Roman society, as well as their effacement from history.Also drawing inspiration from their surroundings in Whitefriars on Monday 5 May, Patricia Debney and Juha Virtanen will present new work that explores mental illness, human relations, control, and hopelessness. Their responses will oscillate between directness and obliquity. Sounds New Poetry is proud to present an evening of readings curated by ZONE at Mrs Jones’ Kitchen, 9pm. ZONE is a collective of writers & critics based in Canterbury. It produces a biannual international magazine of poetry and criticism. Reading will be poets published in ZONE’s first two issues: Áine Belton, Ian Brinton, Laurie Duggan & Dorothy Lehane. Three poets will be writing publically at The Beaney during three days as part of festival, between 12-2pm, during which time members of the public are invited to interact with them. 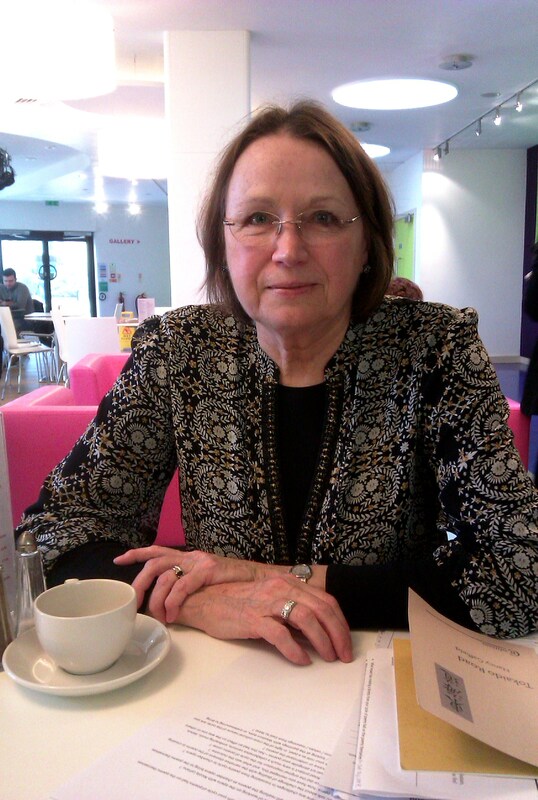 Inspired by her surroundings, Carol Watts will be writing new work on Tuesday May 6th. Building on her work createdduring the day, she will perform work that responds to the Festival’s corresponding relationship between the ephemera of site and sound at Mrs Jones’ Kitchen at 9pm that evening. The next day, Harriet Tarlo will be writing publicly at The Beaney; in the evening, she will present work that opens up the connections between place and performance at Mrs Jones’ Kitchen 9pmFinally, on Thursday May 8th, Jeff Hilson will be writing at The Beany, and in the evening will perform new work that arises from the intersections between poetry and music. Celebrating the synergy between the written word, surrounding spaces and contemporary music: Sounds New Poetry promises to be a fascinating aspect of the 2014 festival next month. Find out more about the events and the poets taking part on our website here. For further details or enquiries about Sounds New Poetry, click here, or contact Dr Juha Virtanen by email here. Preparations have been underway today at the Beaney Front Room, in the heart of Canterbury, for the opening of our Curious Curator exhibition. The exhibition features a number of creative responses to the theme of the Universe of Sound, the Philharmonia’s digital installation at Augustine House, which explores Holst’s The Planets suite. Embracing two- and three-dimensional art, sound and poetry, the exhibition is free and runs until Sunday 12 May. And for those who can’t wait, here’s a teaser snapshot of what’s in store. 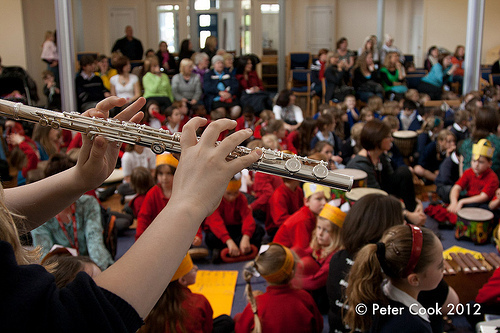 As usual, education is a key aspect of Sounds New’s mission to help introduce audiences – particularly younger ones! – to today’s music, and this year is based around the Universe of Sound project which the Philharmonia is bringing to Canterbury next month. Once again, Sounds New is pleased to be making many of these events free, as we inspire and enthuse younger minds and take them to the stars – and maybe even beyond! The education arm opens with Star Compositions And Darker Matters on Wednesday 17 April, from 9:15 till 3pm at Canterbury Christ Church University. This will be an interactive composition day for 13-18 year olds, at which Richard Slaney from the Philharmonia, who made the installation, will introduce ideas behind the the Universe of Sound. Sounds New composers will also explore new composing techniques and the music of one of the key British composers of the twentieth century, Gustav Holst. This is a practical day too, so we encourage people to bring their instruments! Returning this year will be the Sounds New Roadshow, for which you can book a performance of new music at your school or community venue, given by students from Canterbury Christchurch University, led by our Education Manager, Peter Cook. Performances last about fifty minutes and will be tailored to suit each age-group, including primary and secondary schools and community groups. The roadshow will be ‘on the road’ from May onwards! Visits are free but organised on a first-come, first-served basis so booking is essential. Families can enjoy A Musical Guide To The Galaxy on Sunday May 5 at the Gulbenkian Theatre, Canterbury, between 11am-5pm; an action-packed family day of extraordinary musical happenings with workshops and dance too. Sample bite-sized concerts in the Gulbenkian Theatre and the new-Colyer Fergusson Concert Hall (next to the Gulbenkian Theatre) as well as hands-on arts activities in the foyer. Admission is free for children and £5 for adults. More on the Gulbenkian webpage here. 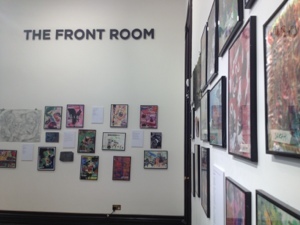 Curious Curator, an exhibition of artwork, poetry and sound installations inspired by our theme of the Universe of Sound, will be at the Front Room at The Beaney House of Art and Knowledge, in the heart of Canterbury. The exhibition runs from May 4 – 12, showcasing work from students from Langton School and the University of Kent: admission is free. For more information about any of these events or to book, please e-mail the Education Manager, Peter Cook. we look forward to welcoming the young (and the young-at-heart) to the exploration of new music with Sounds New once more this year.